Recently, under Presiding Officer Gonsalves’ guidance, the Nassau County Legislature unanimously passed a bill creating the Long Island Commission on Aquifer Protection (LICAP). LICAP is a joint initiative between Nassau and Suffolk County that would assess threats to the sole source aquifer that provides our drinking water and recommend measures to protect it. 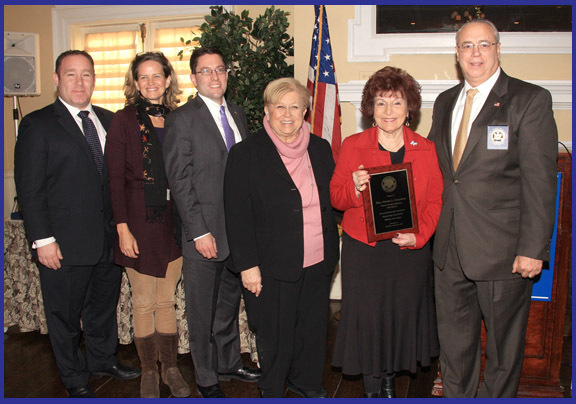 Pictured above left to right: LIWC Chairman Michael Levy, Legislator Laura Curran, Legislator MacKenzie, Legislator Judy Jacobs, Legislator Gonsalves, and LIWC 2nd Vice Chairman Ralph Pugliese.